Google may no longer be a startup but it is as hot as any company right now. Having recently (albeit briefly) surpassed the market capitalisation of Microsoft, grabbed acres of newsprint with Google Glass eyewear, and seen Android become the number-one smartphone operating system, it’s easy to forget about another booming area – the enterprise. And yet Google is taking on one of the greatest modern business franchises with tools that directly challenge Microsoft’s triple crown of Windows, Office and Exchange… and it is gaining traction. To get a better understanding of why and how many organisations are looking to Google for their everyday commercial needs, Martin Veitch talks to three customers: Pearson, TfL and Rentokil Initial. 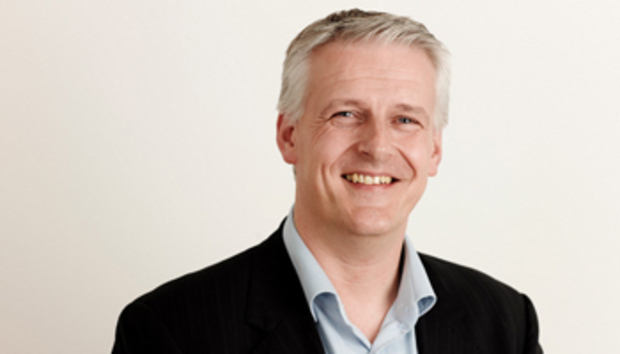 Graham Calder is the CTO of EMEA at Pearson. Best known for publishing the Financial Times, the almost-200-year-old company’s core business today is actually education and its learning services reach almost 60 countries around the world. As Calder says, Pearson is “moving away from its publishing roots”, having seen digital and services grow from 29% of business in 2006 to 50% and still rising in 2012. Its geographical mix is also changing with revenues from emerging regions having grown from 5% to 13% in the same period. Pearson’s challenge is familiar among many Google customers. The company had been changing direction and acquiring businesses at a rapid clip, often a company per week, and that process had resulted in a mishmash of legacy IT. Transformation, both in term of business and infrastructure, was required to drive efficiency but also to foster creativity and agility through better knowledge sharing and the ability to hire and retain top staff. “In an increasingly digital and global world, how do you maintain your pace and relevancy? You have to challenge traditional ways of bringing product to market and rewire the company to bring smart people together really, really quickly,” Calder says. His mission was to make services available to employees based on the concept that they should be able to do everything as if they were in a coffee shop, from any location or device. Beyond that, he sought to make Pearson ICT services more attractive and preferable to what users had at home. The need for speed drove Pearson to move into what Calder calls “industrialisation mode”, migrating thousands of users per week from Office 2003 and Exchange to Google Apps with a target error-rate (anything that would take a day to fix) of less than 1%. Calder says his group deliberately did not provide advice or advocacy on the merits of particular technologies. Pearson business units, which are charged back for ICT services, could elect to stay on the Microsoft platform – Outsourcery provides Pearson with hosted Microsoft services – but 80% took the Google option and there has been little flip-flopping since. On mobile devices, Pearson also offered an open choice with support for any device from the day of its release. Pearson staff members have developed a particular penchant for Hangouts, Google’s online communications service, even using it to broadcast regional ‘all hands’ meetings. All services are accessed via a front-end Pearson calls MyCloud. Eventually, 40,000 Pearson staff will have adopted Google Apps.